I’ll cover this on a later entry re. the tourist bus but one way to really get value for money is to take a wee explore around the area when you are at one of the big tourist attractions. I live 5 minutes from Pl. Espanya and in my area there are a few places that are well worth a visit for some scran or a wee swally. 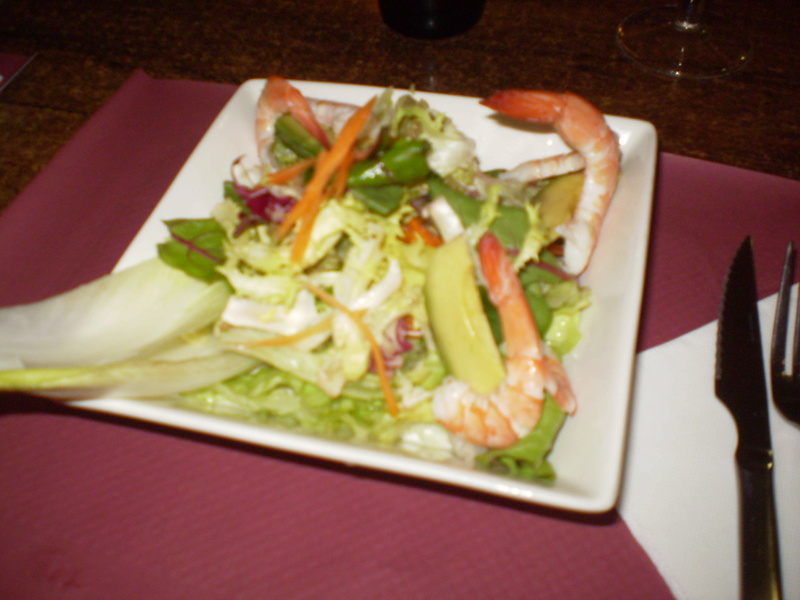 On Gran Via as you head out towards the airport, 5 mins from Espanya is an unassuming place called La Fuente. If I can digress for a moment the mantra “never eat anywhere where they have pictures of the food outside”, stick that up yer hole. Absolutely no guide to quality here in Barcelona. Indeed I know a man who rues the absence of pics outside a place he ate in. He saw the menu and he had a very basic grasp of Spanish. He was aware that “cerdo” was pork, and being a bit of a “I don’t eat that foreign muck” sort he had to physically restrained when he saw “Pies De Cerdo” on the menu, I’ll let you head off to Google translate to give the story punchline. He was ‘fishully “no’ happy”. 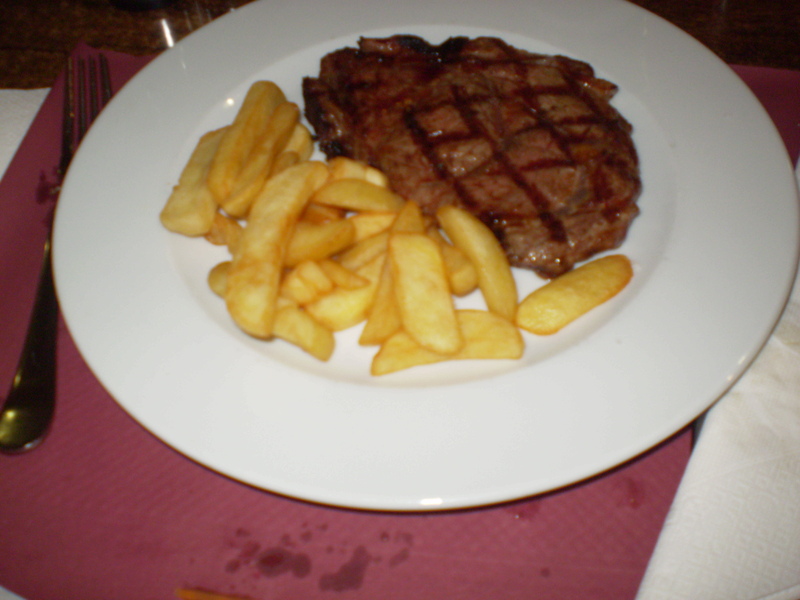 Basic steak and chips, but what's not to love for 11 euro? This entry was posted in Cheap food, Pl. Espanya. Bookmark the permalink. Thon steak n’ chips ur lackin’ a coupla spoonfuls ay baked beans if ye ask me.